High frequency data streams that are collected at the field and transmitted to the office	(data historian, databases ...) are not quite useful in their raw form. The raw data from wells are noisy, full of outliers, and often times, redundant. In their raw form the high frequency data does not lend itself to meaningful analysis and modeling. Our industry have not yet developed techniques to take full advantage of what the high frequency data streams have to offer. The exploration and production industry has made small advances in using the high frequency (real-time) data to make inferences at the single-well level, let alone at the full field level. Usage of such data sometimes is limited to identifying if a well is producing or not, which is a gross waste of valuable resources. The fact is that not much have been done (and is available in the market) when it comes to meaningful analysis of high frequency (real-time) data in order to add value to production operations or any other operations in the oil fields, either at the single-well level or at the full field level. As mentioned before, the raw high frequency data must be processed to be prepared for analysis and modeling. ISI has developed workflows that are quite unique and unmatched in our industry. At the single-well level, our workflows are capable of de-noising, cleansing and summarizing the data. Capturing the major patterns in the data and removing the redundancies. The data is then passed to the analytical modules where it is processed and analyzed. Our unique analyses of high frequency data perform multiple tasks such as detecting wellbore deterioration a function of time, well behavior modeling using a proprietary algorithm for continuous improvement of the developed model. The developed model is trained to monitor well behavior using a perpetual learning and then predicting well's behavior. This is one of the most advance well monitoring and surveillance algorithms in the market. 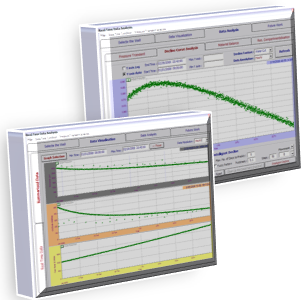 Other analytical techniques that have been developed specifically for the real-time data are algorithms for examining the drive mechanism and detecting sealing faults and flow barriers between wells, all in real-time. When it come to the usage of high frequency (real-time) data streams in multi-well analysis	and/or full field analyses, the playing field is almost empty. No company (vendors, major service	companies, IOCs and NOCs are all in the same boat when it comes to this specific problem) has offered a workable solution to address the use of high frequency (real-time) data streams	in multi-well analysis and/or full field analyses, and there is a good reason for that. the existing time-scale discrepancy between high frequency (real-time) data streams and existing reservoir management tools. 1. The traditional full field/ reservoir analysis starts from the geology (a highly uncertain starting point) and moves up to capture the production behavior from wells through engineering fluid flow analysis and history matching of the resulting model. This inherently is a slow and time consuming model for analysis. 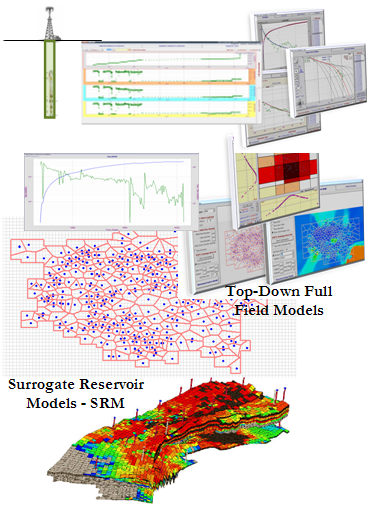 Intelligent Solutions, Inc. offers a robust alternative called Top-Down, Intelligent Reservoir Modeling that enables us to start from well production data in order to make inferences about the entire reservoir. 2. 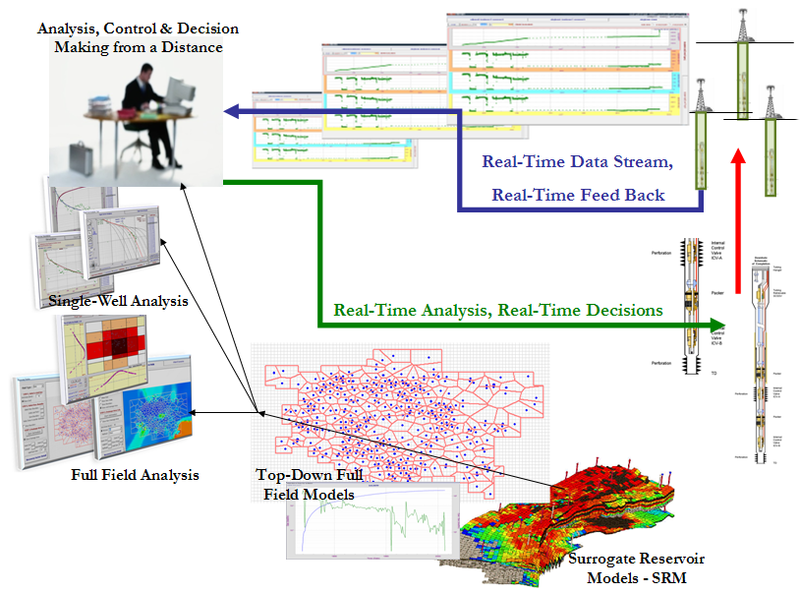 Intelligent Solutions, Inc.'s Surrogate Reservoir Models (SRM) bridges the existing time-scale gap between industry standard reservoir management tools (reservoir simulation and modeling) and high frequency (real-time) data streams by allowing the operators and engineers to perform comprehensive reservoir analysis, optimization, decision making and quantification of uncertainties in real-time. Reservoir Management is defining as the practical science of developing a hydrocarbon field in a manner that would maximize ultimate recovery. Intelligent Solutions, Inc. has introduced the concept of Real-Time Reservoir Management (RTRM) as the enabling technology for the emerging smart fields. Real-Time Reservoir Management (RTRM) refers to a closed loop process during which the reservoir model is continuously updated based on information/feedback received from the field (via high frequency data streams) that are the consequence of the decisions made and implemented using the reservoir model. Therefore, the reservoir model must have the capability of analyzing multiple scenarios in real-time (or near real-time) and provide real-time responses to changes that takes place in the field. ISI has developed Surrogate Reservoir Models (SRM) specifically to fulfill this requirement the smart fields. Availability of high-frequency data streams opens new doors for effective and efficient operations of wells and the entire field. The wealth of data that is now available to operating companies calls for a paradigm shift on the way we approach	problem solving in the E&P industry. Being well aware of our industry's urgent needs and requirements, ISI has put together an inventory of unique and novel workflows to address them in the most effective and efficient manner. 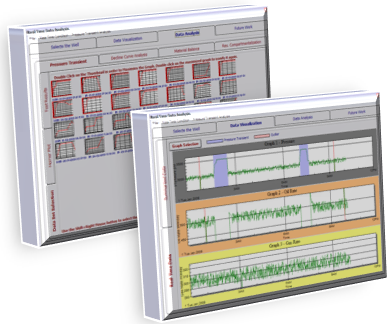 Our workflows provide the ability to perform analyses using the real-time, high frequency data both at the well level and at the full field level.